Summary: The second of three walks during a long weekend in March 2015, this one was long planned. 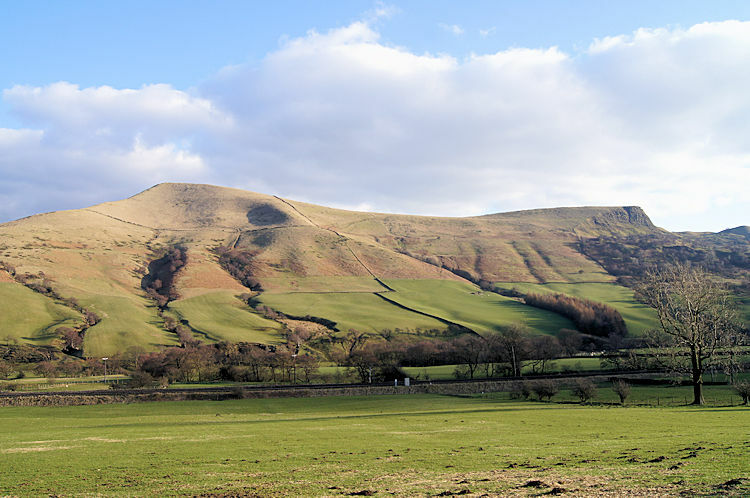 When I had first walked the Great Ridge between Mam Tor and Lose Hill I had looked across the Edale valley to the distinctive raised peak of Win Hill Pike and wished I had time then to climb it. Then I did not have the time. Eleven years on since that moment I had looked across the Peak District landscape with envy and disappointment at opportunity lost I was back. This time the plans were all made and I looked forward to a) renewing my fond acquaintance with the Great Ridge and b) continuing the walk this time to the summit of Win Hill. 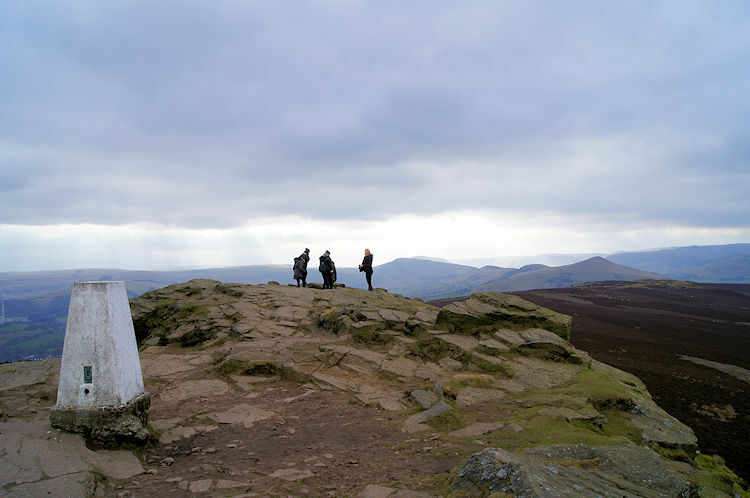 The Walk: The Great Ridge which separates the valleys of Edale to the north and Hope to the south is possibly the most walked ridge in all of England, even beating Striding Edge in the Lake District for numbers in footfall per annum. 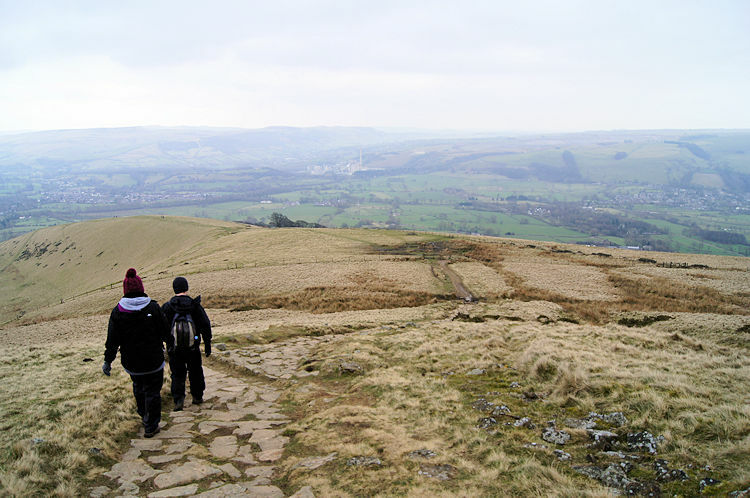 Surely the section between Mam Tor and Hollin's Cross is; every time I go on the ridge itself, or look up from the valley, there seems to be a steady stream of people walking both east and west along the spine. And there was on this day but I will leave that part of the walk until my story reaches it. I had to set off first. 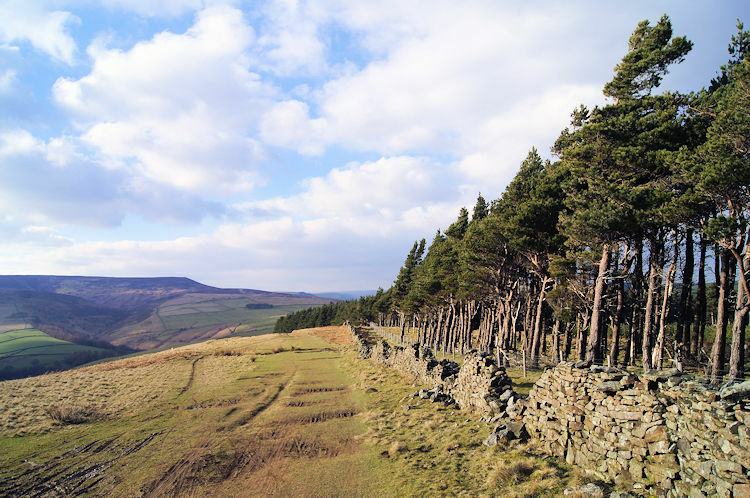 Nether Booth was the place I chose to start my circuit of Edale, the Great Ridge and Win Hill and the walk from flat walk from Nether Booth to Edale allowed me to warm up for the task ahead, a walk of over 12 miles with two challenging climbs. As soon as I walked off after changing for the walk and securely locking the car in the direction of Edale I passed a young couple walking in the opposite direction. A couple of fields later I passed another young couple walking on the trail of the first couple. I guessed they were staying in the area as part of achieving the Duke of Edinburgh award and on a mission. 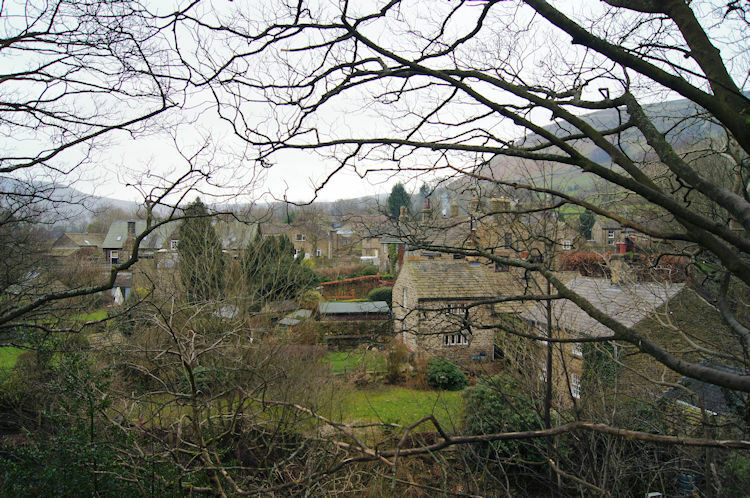 I continued on my westerly course across fields and through small copses on pleasant tracks to the village of Edale. I arrived at the outskirts of the village after thirty minutes of walking. It was mid morning. Some people were wandering around the village going about their own business and others were stood talking. One man in walking gear and with a heavy backpack was with a small group outside the Old Nags Head. He was probably saying his good byes to his friends and family before setting off northwards along the Pennine Way. It seemed as if he was doing so. I continued on my way through the village, heading north towards the railway station. As I did so a steady stream of people walked past me; a train must have just arrived. 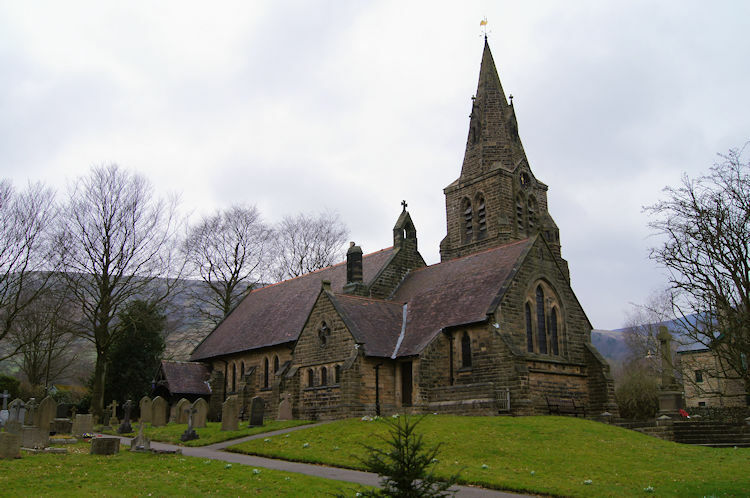 At Edale Church I paused for a moment to enjoy the architecture. 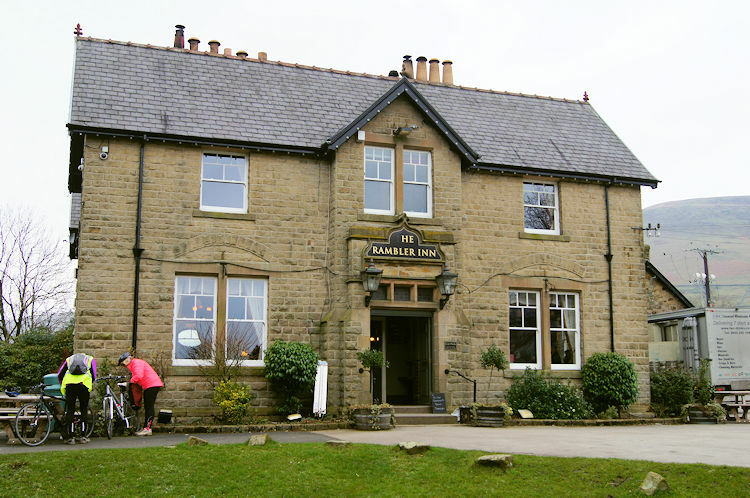 I continued on, out of the village and past the Ramblers Inn where a couple of road cyclists were setting out on their particular day. Then I walked under the railway tunnel and after a sharp right at one road junction and sharp left at the next I followed a dead-end road. My walk along the road began by crossing Yeman's Bridge over the River Noe. I would cross the river again later. With the river behind me my first climb of the walk began in earnest. First, on the way to Hardenclough Farm it was not too bad but after the farm the climb steepened. 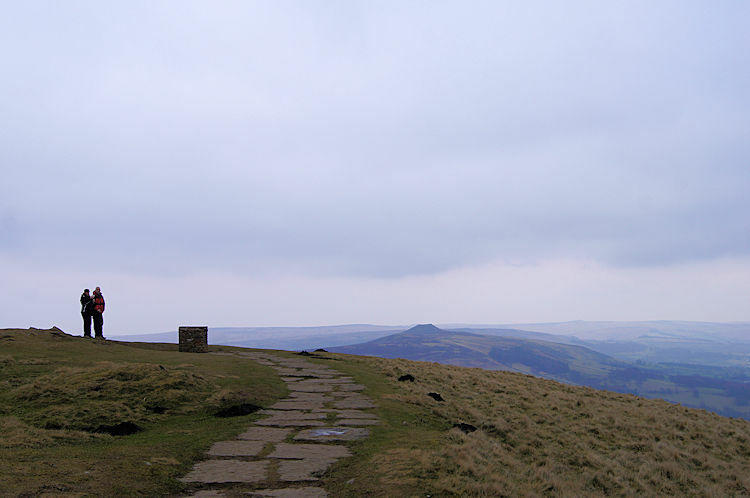 It was not to relent until I reached the summit of Mam Tor. The tarmac road continued a little further but ended abruptly at Greenlands. 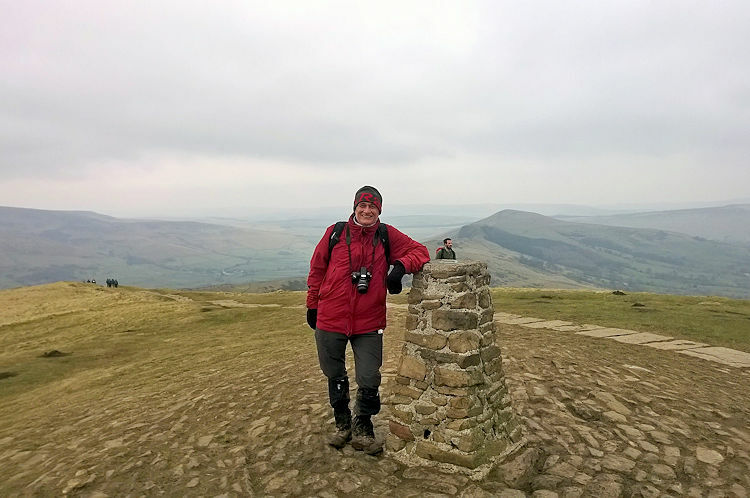 From there to Cold Side and beyond on the north facing slope of Mam Tor it was a tough haul. I stopped a few times to catch my breath; when doing so I looked across Edale to the Kinder Scout massif. Sometimes I stood bolt upright to take in the view. 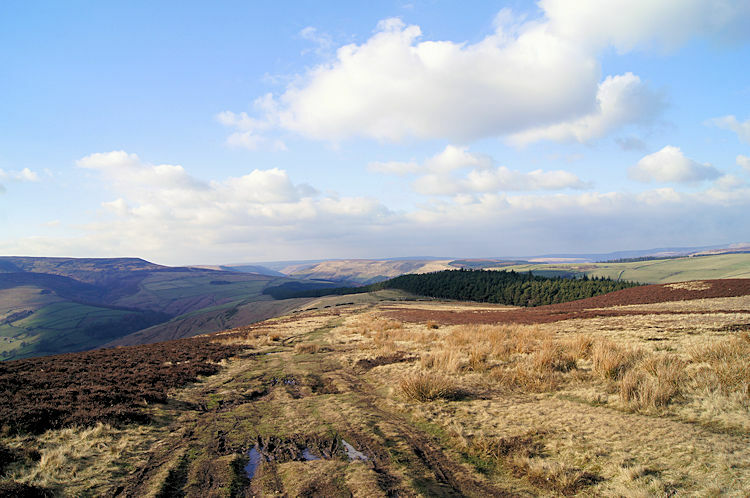 More often though I looked to Kinder Scout with hands on knees, puffing billy like and regaining my breath. With much effort I reached the summit of Mam Tor. I had climbed 160 metres but the reward of reaching the Great Ridge was well worth it. As I walked to the trig-point on Mam Tor others were too. A family of four were taking turns in camera duty in order to photograph the others. I volunteered to photograph the entire group and they were most pleased I did so. In return for my family shots of them one of the party photographed me. Everyone was happy. The family party walked on and more people arrived. It was getting busy on the Great Ridge. Though cloud was hanging over the skies it kept high enough for the whole length of the Great Ridge to be seen and enjoyed. All on the Great Ridge appreciated that. Perhaps we could expect a little sunshine later? As I walked on the downhill stretch of the Great Ridge between Mam Tor and Hollin's Cross a lot of people passed me heading in the opposite direction. 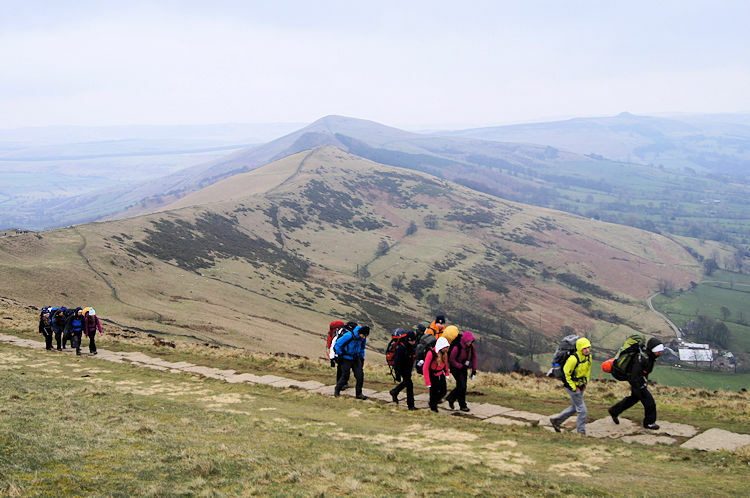 One group of about 50 youngsters, possibly on the Duke of Edinburgh Award, walked resolutely along the ridge towards Mam Tor. 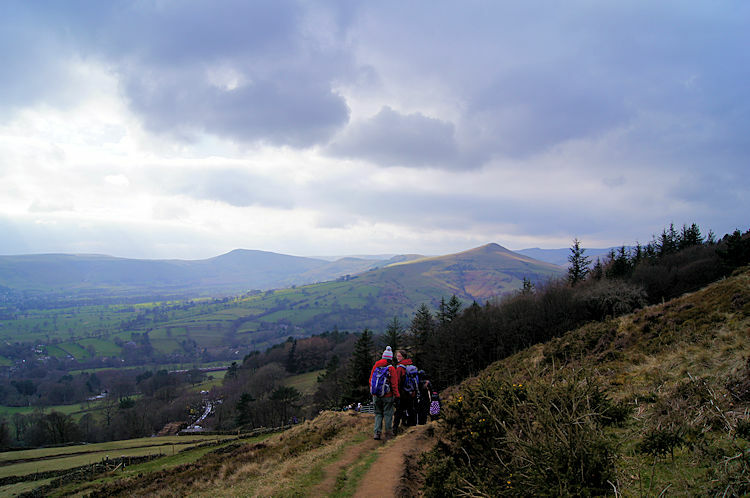 More family groups walked on the ridge between Mam Tor and Hollin's Cross too. 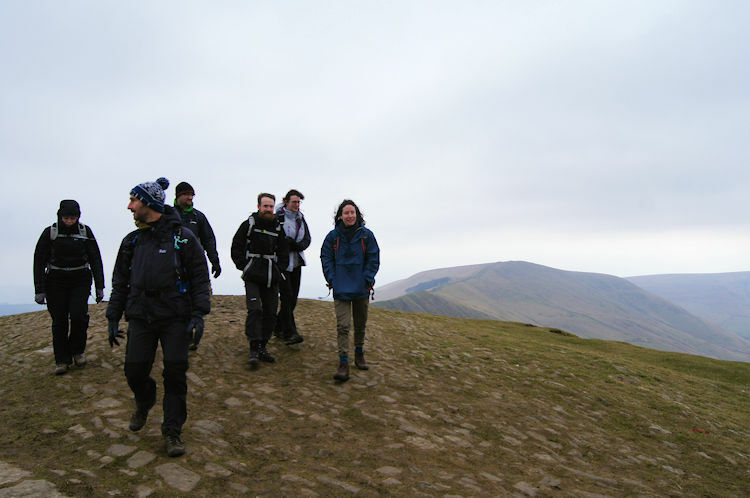 It was a busy section of path with a good number making the effort to climb from the Hope and Edale valleys to enjoy the views and all despite the cold biting wind which kept us busy. Surreally, after Hollin's Cross most of the crowds I had walked with or passed since Mam Tor vanished; as if into thin air. After what had gone before on the Great Ridge I was relatively alone as I walked from Hollin's Cross towards Back Tor. As I walked contemplatively towards Back Tor I reflected on the significant number of people I had left behind on the path. If I had met them in the valley, strolling through the streets and browsing in the shop windows of Castleton and Hope I guess few pleasantries would have been exchanged. Each of us would have gone about our own business. Up on the hilltops it was quite a different story; most people spoke to me as I passed, nearly all saying hello and how lovely it was to be up on the ridge, enjoying the day and enjoying the company. Hills not only raise us in height, they raise us in spirits. I banked that thought and walked on, soon exerting a little more effort to climb Back Tor. Back Tor is an irresistible climb. Whereas Mam Tor before and Lose Hill after are on a direct line and covered in grass Back Tor kinks out from the ridge to the north and is steep enough on the north face to disallow grass from taking root. Stepped layers of Dark Peak Gritstone look out northwards and when hit by sunshine the rock face shimmers. 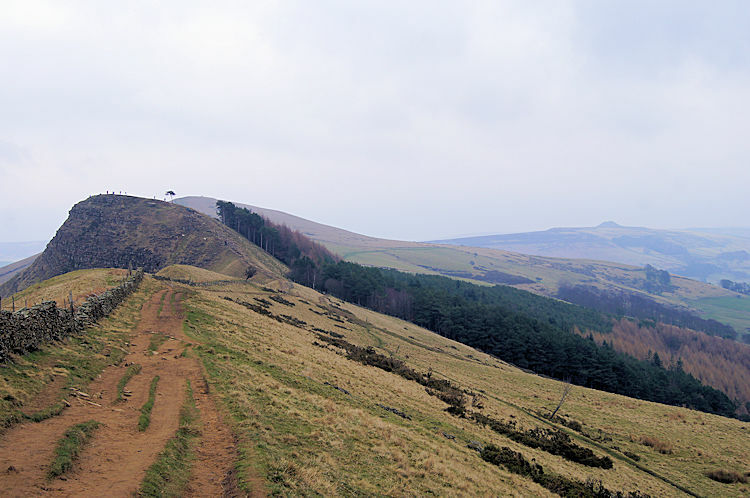 It is a super hill, evocative and as the central hill of the Mam Tor to Lose Hill line, a determining feature. The small plantation of conifers lining up on the south face of Back Tor compliment the scene. As I climbed the steep path to the top I kept looking up to them, ever drawing me up. 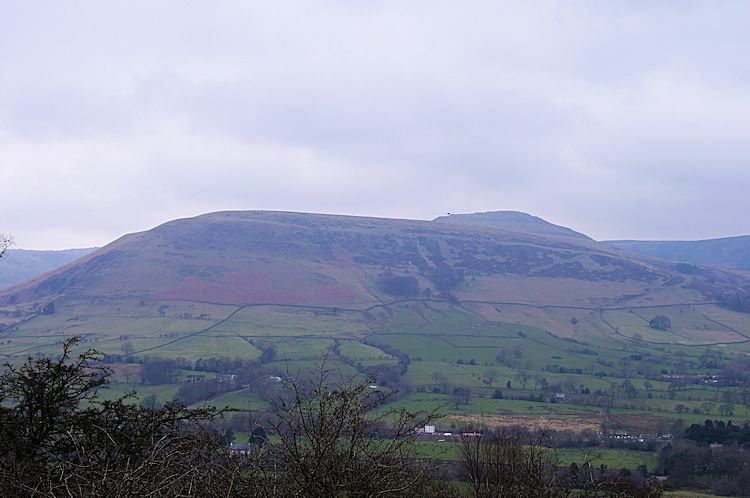 When I passed them and reached the top I rested and gazed out over the scene, looking back to Hollin's Cross, Lose Hill and to Rushup Edge which I must cross next time. There is a Lord's Seat to sit on when I cross Rushup Edge. 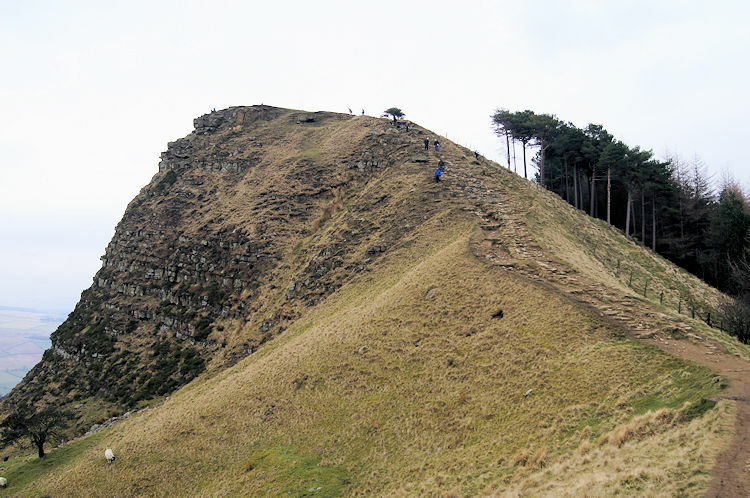 After what had gone before, especially on the climb from Edale to Mam Tor, the 55 metre ascent from the saddle between Back Tor and Lose Hill did not even register. It was an easy climb to the summit. 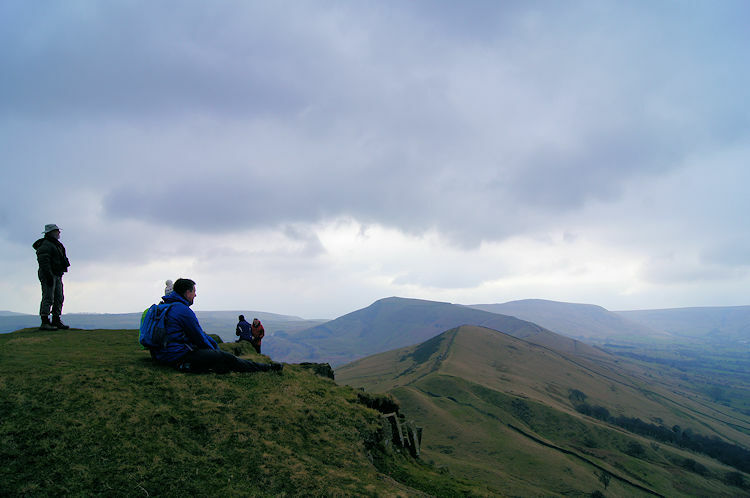 A couple were looking out across the expanse of the lower Edale valley from Lose Hill to Win Hill as I approached. It looked a very long way to Win Hill from here and feeling a little tired having climbed to and crossed the Great Ridge considered leaving it to another day.... for just a fleeting moment. The couple ahead of me began descending from Lose Hill to the valley. I followed them, intent on climbing all the height I was just about to lose, bar the 14 metres difference in altitude between Lose Hill and Win Hill. Ironically and contrary Lose Hill beats Win Hill in the height match. The descent from Lose Hill to Townhead Bridge on the Hope to Edale road is one of my favourites. It begins with a manufactured and maintained stone stepped path which peters out into a wide grassy stretch of not too much gradient. This section invites you to bound down the hill at a meandering trot with arms held wide. It does that to me every time. 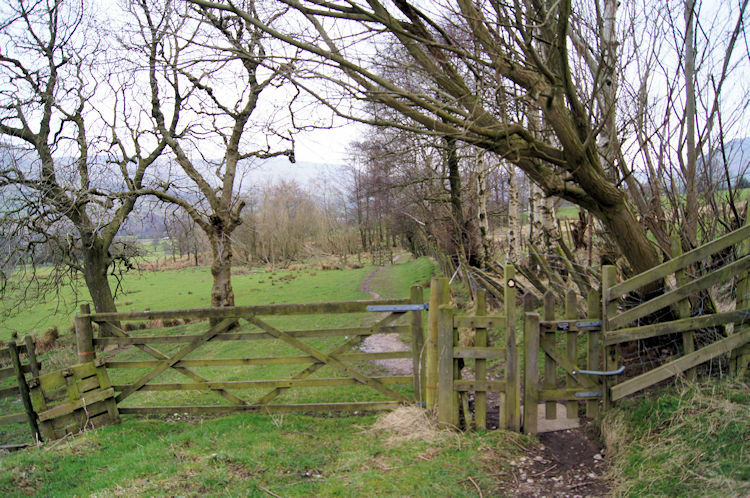 I arrest the swift descent at Losehill End where the path narrows to one between wall and tree line to the right and a tree line to the left. 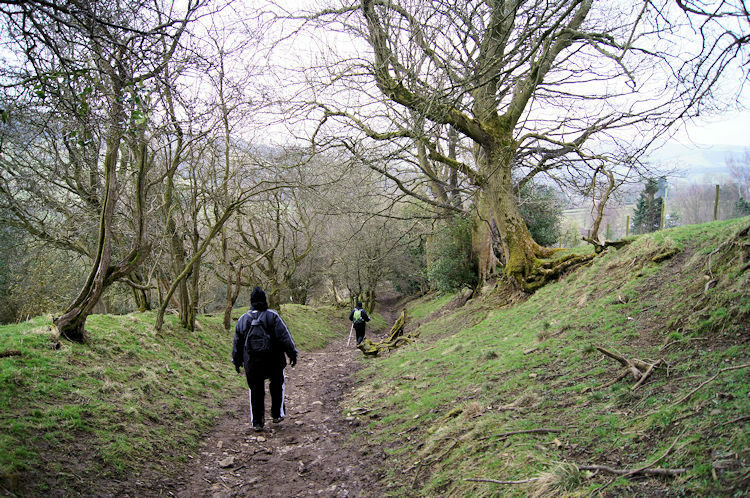 The path also turns into a Holloway in parts where it has sunken through years of use, I guess of footfall, livestock and pony. After Townhead Bridge I followed the road heading back towards Hope. 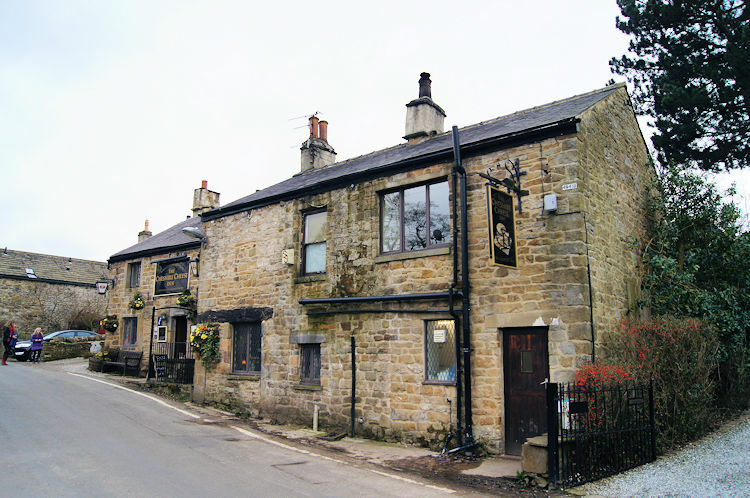 As I passed the Cheshire Cheese Inn several parties of people passed me in much finer attire, all heading into the pub for a cosy lunch. I thought of lunch too but carried on a little further along the road before leaving it and crossing the River Noe once more, this time via Killhill Bridge which led me up the road towards Twitchill Farm. After passing under a railway bridge I stopped for my lunch in a small copse just before the long straight drive which climbed to the farm. Beyond was a further climb to Win Hill. Lunch was my fuel for the ascent. Suitably fuelled up, I left the perch in the small copse from where I had enjoyed lunch and began the ascent from the valley to Win Hill. The walk up the long unerring farm access road to Twitchill Farm was tough going. It was made the harder by my break for lunch as the legs had rested and it took some puff to get them going again. Halfway along the farm road I met another chap coming off the tops. He said hello, I reluctantly replied. It is not that I did not want to talk, I just did not want to waste energy making the effort. 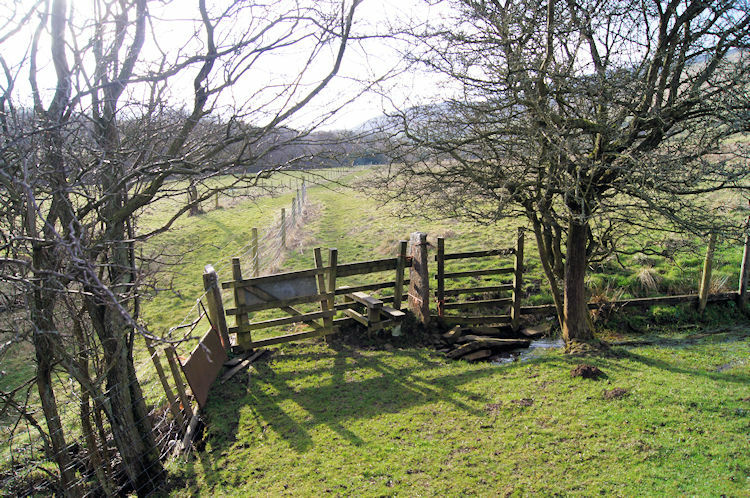 I continued the heave up to Twitchill Farm, walking through the farmyard and beyond through a gate into a field which led steeply up to the open fell. On reaching the fell path I passed a group of about 30 youngsters coming off Win Hill. Not yet another Duke of Edinburgh Award group? Probably. On passing the last of the young group I cast my eyes on the rocky summit of Win Hill which loomed closer and closer. I eagerly walked up to the summit. When I reached it, WOW. I had looked across to Win Hill all those years ago from the west during my first Great Ridge walk. I had looked across to Win Hill from the east when on Stanage Edge a couple of years later and from the north-east when on Derwent Edge later still. The hill above Ladybower Reservoir with the crinkly-rounded top. The unmistakable yet unaccessible hill from those previous walks. 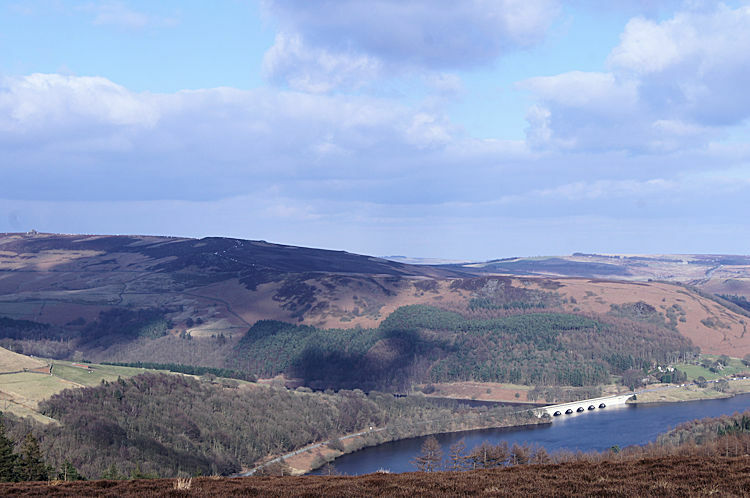 Now I stood on the crinkly-rounded top and looked back to the Great Ridge, to Stanage Edge, to Derwent Edge, to Ladybower Reservoir below me and to lots more parts of the Peak District besides. I was on top of the world, or so it felt like. From Win Hill the views north, east, south and west are tremendous. And magically the sun came out for me to enjoy the mountain top view. For the first time during the walk the suns rays beamed down to warm my face and light up the land. It was a gorgeous moment. I stayed for as long as I could in the gorgeous moment. I looked around to all cardinal points and then again and again. It was breathtaking. Only the commitment of having to finish my walk by a certain time drew me off the rocky pinnacle of Win Hill. I banked the magic as I left and smiled a beaming smile as I strolled across the wide ridge of Thornhill Brink and Hope Brink. I could not shift the smile as I walked on a course north to Wooler Knoll. Here I came from open land to being enclosed by a wall and conifer plantation on my right hand eastward side. The barrier would act as shelter in rougher conditions, today it acted as a screen by disallowing my views in the direction of Derwent Edge. 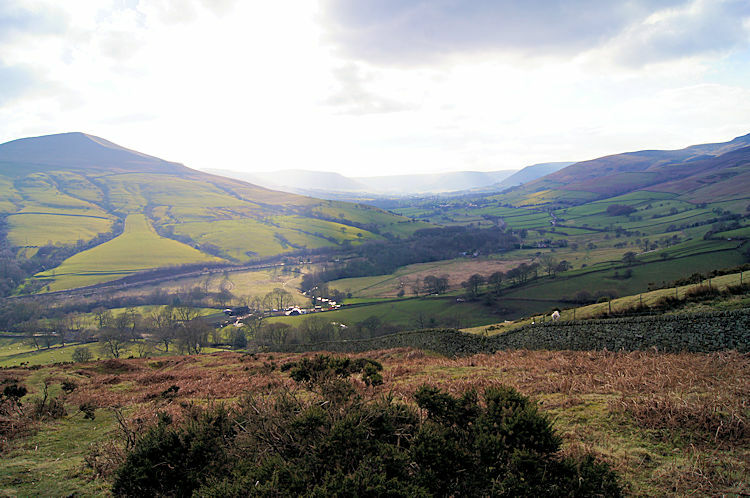 Still the view in the other direction to the impressive sprawl of Edale was ample compensation. Clouds crossing the sun created a moving pattern on the landscape. It was quite beguiling but my course was downhill now and every step lost me a little of the lovely view. I swiftly reached the valley floor at Edale End from where I followed a path past Upper Fulwood Farm. Carr House Farm and Carr House. It was quite muddy in places, more so in the stretches of path I had to share with livestock. I slid on these paths but never fell. 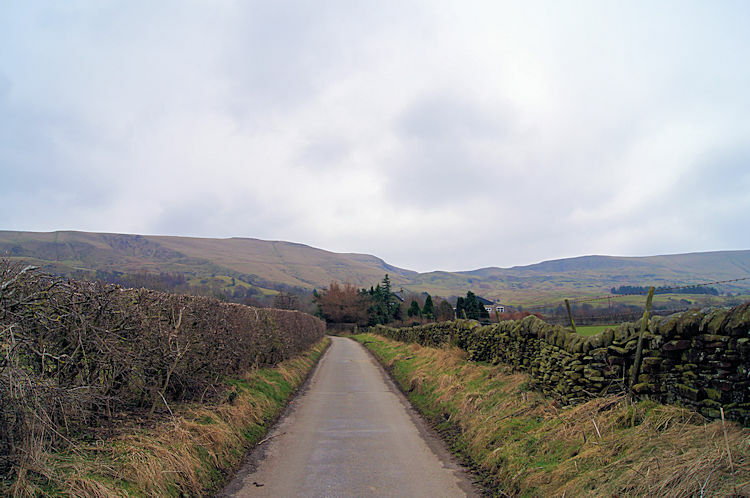 After Carr House I reached the Edale road which I followed back to my starting point at Nether Booth. I could have left the road to walk to Clough Farm and the Edale Youth Hostel at Rowland Cote before my finish but with being time constrained I kept the road line. Views across to Lose Hill, Back Tor and the rest of the Great Ridge allowed me a final smile. They were smiling back at me.